Nothing is more frustrating than an unsuccessful trade coming from misunderstanding a term or sentence. In this Binary Options Glossary / Vocabulary we have put together a comprehensive list of these terms along with lesser known references that you might find useful. Simply click on each of these and it will expand with a definition. Often called an underlying asset this refers to the type of item that you are trading on. This is the asset in which you are purchasing an option against. Examples of assets include: USD/GBP, EUR/USD, Gold, Silver, FTSE-100, Dow Jones, Google Inc, Apple Inc and many more. A type of chart providing a visual representation of the price activity of a financial instrument, over a given period of time. 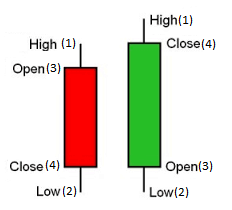 The chart consists of four significant points: the high (1) and the low (2) prices which form the vertical bar; the opening (3) price, which is marked with a small horizontal line to the left of the bar; and the closing (4) price, which is marked with a small horizontal line to the right of the bar. A market that is characterized by decline of price of a financial instrument. Binary options, also known as digital options, or all-or-nothing options, are contracts which have only two possible outcomes (either they win, or they lose) therefore binary by nature. A binary option involves a fixed payout after the underlying stock meets or exceeds its predetermined threshold or strike price.Values of binary options payouts are determined at the start of the contract and aren’t affected by the magnitude of movement of the stock value. Binary call options pay the predetermined amount providing the price of the underlying security exceeds the strike price at expiration. Similarly, binary put options pay the predetermined price if the price of the underlying security is trading at less than the option strike price at expiration. A bonus is real money that the broker credits to your trading account, giving you additional leverage and liquidity. A bonus may not be suitable for all traders, so please check. Usually there is a page for Bonus Terms and Conditions, or it might be under the general Terms and Conditions. This is where you’ll find out about a turnover requirement. The trader deposits $100 and claims a 50% bonus. This brings his total account equity to $150. The trader is required to meet a trading turnover of 30 times the bonus amount before they can request a withdrawal. The trader therefore needs to meet a trading turnover of 30 x $50 = $1500 in trading turnover. The term boundary or range instrument allows a trader to decide whether the price of the underlying asset when the option expires will be inside or outside a specified range. The range is specified by higher and lower target price limits. A broker is someone or a company acting as an agent in where they make a contract between a trader and themselves in respects to purchasing options. Examples of brokers include: 24Option, Iq option, 4D, Option Bit etc. Each broker has a different set of assets available to trade and details specific to them. The terms bearish is used to describe a financial market or stock who’s price is generally on an incline. 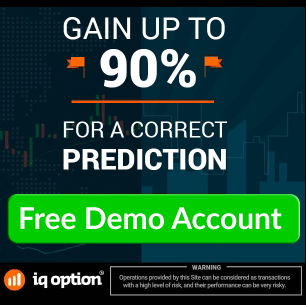 Choose binary call options if you predict that the value of the item you are trading at will increase in price by the time of your chosen expiration. If the strike price increases in that time, you earn money based on the percentage set prior to bidding. The last price of a financial instrument offered at the end of a trading session. The trading unit of financial instruments. This refers to one of the underlying asset types in which options can be purchased. A commodity is usually a physical item like Gold, Silver, Wheat and Cotton and the price of these is determined by economic factors. Any person (natural person, legal person) entering a contract on the opposite side of the transaction. Each transaction must have counter-party or else the transaction cannot be executed. Counter-party can refer to brokers, investment banks, and other securities dealers that serve as the contracting party when completing “over the counter” transactions. A currency pair where neither one of the currencies is U.S. dollar. A form of money. A unit of exchange used for facilitating the transfer of goods and/or services. A currency is an asset type that can be traded. In binary options currencies are traded in pairs and common examples of these are: EUR/USD, USD/JPY, USD/CAD and many more. Buying and selling financial instrument within the same trading day. Any person (natural or legal person) acting as a principal or counter-party to a transaction. In order to start trading you need to add funds to your trading account. This adding of funds is called a deposit. Different brokers offer varying minimum deposits anywhere from $1, $10, $100, $250. Another term popularly used to describe Binary Options. Early closure is where a trader has the ability to close an option and immediately expire it ceasing the contract. 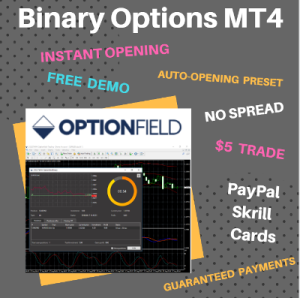 A type of option that was reserved exclusively for select traders before being simplified and made openly available to the public in the form of Binary Options. The official currency of the European Union’s (EU) member states. The euro is abbreviated by the symbol “EUR”. This refers to the time and date at which the option you have purchased will expire. When the option has expired it becomes void and ceases to trade. With binary options, expiry times are shorter than traditional investments and can be any of the following, 60 seconds, 15 min, 30 min, 45 min, 1 hr, 24 hr and weekly. The value of the underlying asset when the option expires. Financial Instruments offered for trading by Windsor may be viewed under the Contract Specifications Table. The market where currency trading takes place. Markets where participants can purchase one currency in exchange for other. One of the largest and most liquid financial markets in the world. Forex, an abbreviation of Foreign Exchange Market. Performed on historical and present data with the goal of making financial forecasts. A standardized contract, traded on a future exchange to buy or sell a specified financial instrument at a pre-determined price, at a future date. A standardized contract to buy or sell a financial instrument at a pre-determined price, at a future date, but not traded through an exchange; traded “Over-the-counter”. GTC (Good Till Cancelled) is an order to buy or sell a financial instrument at a specific price, valid until the order is completed or cancelled. Hedging / Straddle is a strategy designed to minimize exposure of a risk. Attempt to reduce the exposure of the risk of the position by taking the position in the opposite direction. When you select to trade using High/Low option (often referred to as Call/Put) you are predicting whether or not the underlying assets price at expiry will be higher or lower than the strike/target price. 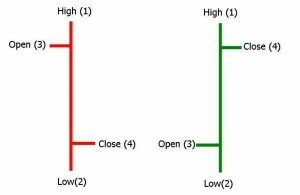 If you choose High (Call) you are predicting it will arrive above and if you select Low (Put) you are predicting it will arrive below the target price. Inbound Option. This term is an option on a Boundary/Range Instrument and refers to when the underlying asset expires inside the higher and lower limits of the target prices. Index Binary refers to an option whose underlying asset is that of an index. These can include such assets as: FTSE-100, Dow Jones, Nasdaq-100 and many more. Often referred to as Financial Instruments or Assets, it is another term which refers to the underlying Stocks, Commodities, Currency Pairs or Indices. This term refers to the point when a purchased option realises a gain and the trader makes a profit. An option is in-the-money if you place a High (Call) option and the options price expires above the target price. If a Low (Put) option is placed then you are in-the-money when the options price expires below the target price. This is the amount of money that is invested when purchasing an option. Typical investment amounts can range from $1 up to $1000’s and the amount at which you can invest in any single option is limited by the broker you are using. Individual or corporation that enters into financial markets in hope of achieving a financial gain. An order to buy or sell a financial instrument at a specific price. Market with a high degree of liquidity, low spread, costs and volatility, often resulting from a large number of buyers and sellers. The closing of existing open positions through the execution of an offsetting transaction. Long Position/Going Long. A market position where an investor has bought a financial instrument with the intention of selling it back, at the later stage. The client “wins” when the price of the financial instrument increases and loses if the price decreases. It is a demand for additional funds in order for open positions, held by the client, to remain in the market. A person (natural, legal person) who is buying and selling financial instruments for his own account. The financial risk related to the exposure of the investment, due to the uncertain moves in the market prices. This is an option on a One Touch instrument. It refers to when the price of an asset does not reach the target price during the lifetime of the option. If at any time the price of the asset does reach the target price it will instantly expire ‘out-of-the-money’. Execution of one order that automatically cancels the other. OCO order is a combination of a Stop Loss or a Take Profit; in cases where one of the two orders is executed, the cancellation of the second order is done automatically. A one touch instrument is where you predict whether the underlying assets value will reach a target value when the option expires. If it does reach the target value then you are ‘in-the-money’ otherwise you fall short and are ‘out-of-the-money’. A long or short position whose value is changing in accordance with change of the market price, of the financial instrument. An instruction for a transaction to be executed at a specific price. It is executed only when the market price reaches the price specified in the order. An order reflects investor/trader’s expectation at the time when the order was placed. This term refers to the point when a purchased option has no gain and the trader makes a loss on their investment. An option is out-of-the-money if you place a High (Call) option and the options price expires below the target price. If a Low (Put) option is placed then you are out-of-the-money when the options price expires above the target price. A negotiated market conducted between buyers and sellers. OTC are Financial instruments which might be listed on an exchange but are traded over the telephone, facsimile and/or electronic network instead of a physical trading floor. There is no central exchange or meeting place for this market. The level of profit earned when a binary options contract expires In the Money. This is typically represented in percentage form. Pip / Point. Refers to a minimum price fluctuation of a financial instrument. E.g. Eur/Usd = 1,12345. 1.12345 + 1 pip = 1.12355. A commitment; number of lots of a financial instrument bought or sold by a trader / investor. The buyer of financial instruments is carrying “long” positions while the seller of financial instruments is carrying “short” positions. Choose binary put options if you predict that the value of the item you are trading at will decrease in price by the time of your chosen expiration. If the strike price decreases in that time, you earn money based on the percentage set prior to bidding. Refers to the bid or ask price of a financial instrument i.e price offered for selling and/or buying of a financial instrument, at the same moment. A portion or the full amount of your investment you make is often refunded if your option expires ‘at-the-money’. Some brokers may even refund you a portion of your investment on average around 15% if your option expires ‘out-of-the-money’. Check each broker for refund options. Resistence (Resistance Level). The price level at which a financial instrument, during a certain period of time, has difficulties rising. Resistance level is the opposite of Support Level. This refers to the amount you stand to make after the option you have purchased expires in the money. Returns can depend on the instrument you are trading with along with the specific asset and different brokers. The return value will be clearly stated before you purchase your option so you always know what you stand to gain or lose. For example: if you made an investment of $100 and the return was 85% you would stand to gain $185 after the option expires if you are in the money. Uncertainty on return of an investment. Risk is the possibility of losing the money invested for trading in financial instruments. Forex currency pairs positions, held open at the end of the business day are rolled over on a daily basis until the value date is met; based on a Tom/Next basis. Currencies with the higher interest rates will receive interest payment through roll overs and vise versa, currencies with the lower interest rates will pay interest through roll overs charges. Short (Short Position/Going Short). It is a market position where an investor has sold a financial instrument with the intention of buying it back, at a later stage. The investor wins when the price of a financial instrument decreases and loses if the price increases. A market participant (investor/trader) who wishes to profit by buying and/or selling a financial instrument, anticipating future price movements. Transaction in which one currency is exchanged directly for another, for the settlement date in two days forward. The difference between the price offered for selling (bid) and the price offered for buying (ask) of a financial instrument. A stock refers to the stock of a specific company which are available to trade on the financial stock market. Examples of stock include: Apple Inc, Google Inc, Facebook, BP, Barclays and Vodafone. Straddle / Hedging is a strategy designed to minimize exposure of a risk. Attempt to reduce the exposure of the risk of the position by taking the position in the opposite direction. Strike/Target/Purchase Price. The strike price (often referred to as purchase or target price) refers to the price of the underlying asset at the time at which you purchase the option. When the option expires, the new price of the underlying asset at the time of expiry is compared to the strike price to determine whether your option has gained value (“in the money”) or lost value (“out of the money”). Support (support level). The price level at which a financial instrument, during a certain period of time, has difficulties to break below. That is the price level at which a financial instrument tends to stop falling due to more demand than supply. The way of predicting price changes of a financial instrument by analyzing prior price movements and looking for patterns and relationship in price history. A minimum price fluctuation made by a financial instrument. A trade that arises for the purpose of avoiding the actual delivery of the currency, traded by the speculators on Forex markets. In most cases, delivery is two days after the transaction date. A trade that achieves and/or surpasses the target value specified in the respective binary options contract. Sunday Night (22:00 GMT) – Friday Night (20:00 GMT). There are always assets available for trading within these trading hours. Holidays trading MARKET OTC, Saturday and Sunday. Trend is a general direction of the market of a certain financial instrument. Each Forex transaction carries an assigned value date. The value date usually falls 2 business days after a transaction is executed. In cases where Forex currency pair position is opened and closed within the same day, the value dates will be the same and therefore the position will not be carried over into the next day and have the Tom Next charges applied. The number of contracts made during a specified period of time as in an hour, day, week or year. For financial instruments that are traded in lots, the volume is reported to reflect that fact. After making successful investments it’s time to take the money back out of your trading account, this comes in the form of a withdrawal. A withdrawal can take some time depending on the broker and also cost depending on which method you have chosen to withdraw your funds with.